J. Harper & sons Ltd have successfully completed the construction of 42 No. Dwellings at Bank Street, Cheadle. The works included refurbishment of an existing building to form 12 nr apartments and a range of new build houses (2 & 3 bed houses & 2 bed bungalows). J. Harper & Sons worked with Strata Housing Services Ltd C/O The Wrekin Housing Trust on this scheme to provide affordable homes and apartments in the area. 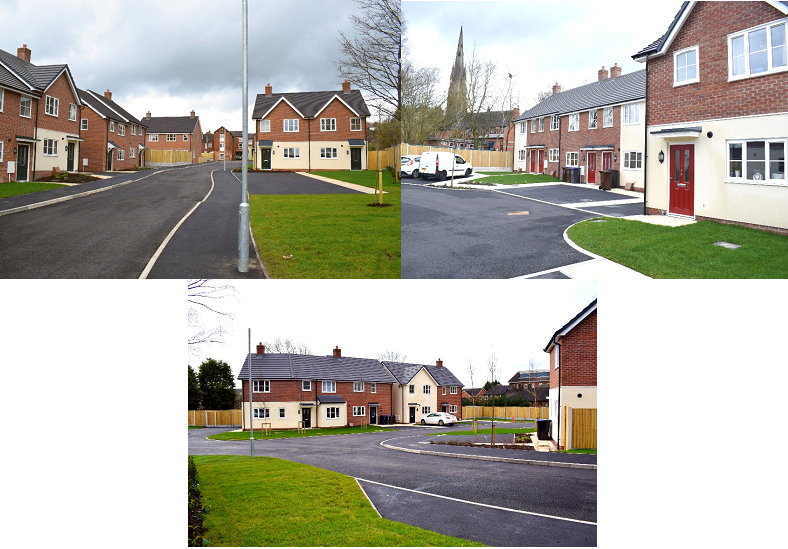 “We are very pleased with the quality of the completed new homes at Bank Street, where we have worked in close partnership with colleagues at Harper Group. Together we have overcome a number of obstacles on this complex mixed development which includes both new build homes and also the conversion of a building of local importance in Cheadle.